Earlier this year (January) I had the opportunity to visit the Republic of Macedonia for the first time. For those of you who don’t have any idea where it is, the Republic of Macedonia is bordered by Serbia to the north, Bulgaria to the east, Kosovoto the northwest, Greece to the south, and Albania to the west. In other words: In the heart of the Balkans! “As a wine country, Macedonia is both very old and very young. Wine was common commodity hundreds of years BC. An although Macedonia has been a wine producing country throughout the ages, the production of quality wines kicked off just over 10 years ago.” Ivana Simjanovska , #winelover Ambassador for the Republic of Macedonia and author of the book “Macedonian Wine Guide” (2011). The Popova Kula Winery and vineyards are located on the south slopes of the Grand Hill (Veliko Brdo) west of the lovely town of Demir Kapija and close to the highway E-75. The Demir Kapija valley lays on the southeast part of the Tikveshiya grape growing sub-region that is a part of the Povardarie region. – 80 Km from airport Aleksandar The Great – Skopje. 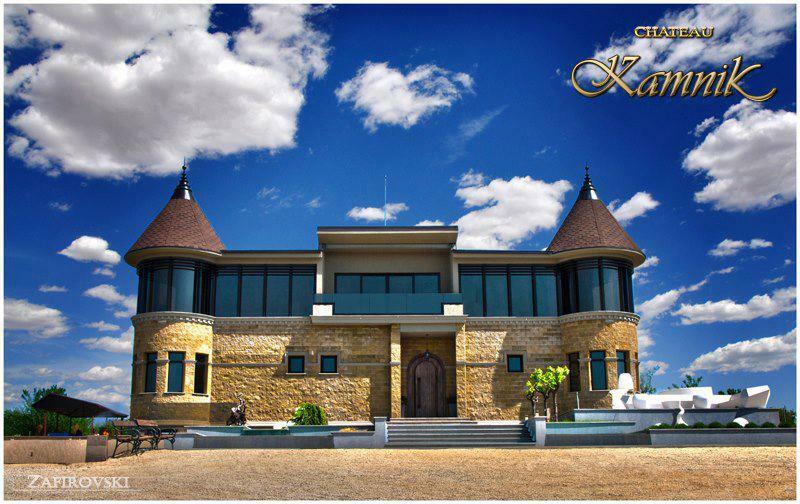 Authentically Macedonian, the winery ‘Chateau Kamnik” expresses the greatness of the ancient Macedonian traditions, soils and spirits in a truly contemporary wine style. Their philosophy is to raise the level of the Macedonian wine industry trough continuous commitment and dedicated search for excellence. Their are right in Skopje, so it’s very easy to reach them.